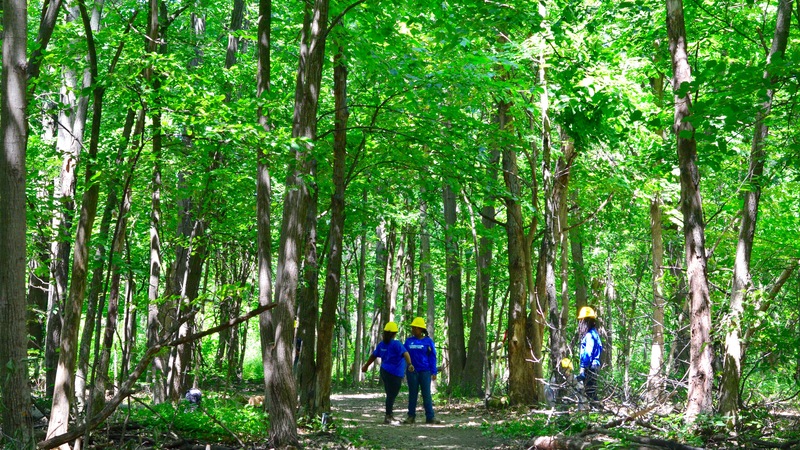 Conservation Corps crew members work in Dan Ryan Woods. From all over south Cook County they came. Calumet Heights. Hyde Park. Morgan Park. Ashburn. Beverly. They rose early on summer weekdays, arriving at their designated pick-up locations before 7:30 a.m. to be on site and ready to begin work by 8. Dressed in yellow hard hats and heavy duty work boots, they dug ditches, debarked and lifted logs, removed the invasive plants (buckthorn, catalpa and burdock). Their job was to make sure the Preserves remain healthy and safe for all to enjoy. Youth Conservations Corps works in conjunction with the Student Conservation Association (SCA), a national organization dedicated to developing the next generation of conservation leaders. The Forest Preserve Foundation, as it has in past years, provided a grant that supported this summer’s Dan Ryan Woods crew. Teens 15-18 are paid $8.25 hour for a 35-hour week. Crew leaders are older and earn more. 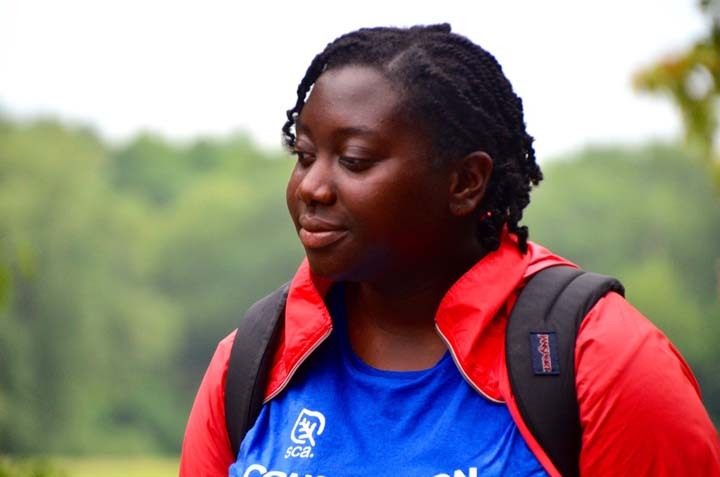 For Myriam Ajayi, 23, the SCA co-leader of the Dan Ryan crew, the program offered a different way to spend her summer. 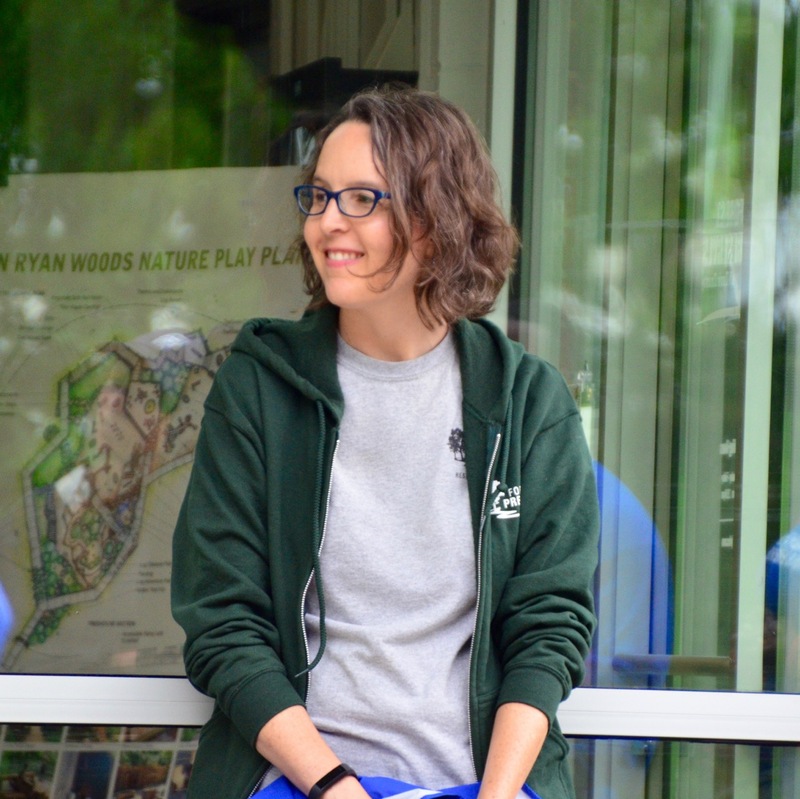 Alice Brandon oversees the summer Corps program in the Forest Preserves. Myriam Ajayi, crew co-leader for Dan Ryan Woods. “Another thing we did was fix check steps and put in some new ones for the ones that rotted away,” Myriam said. (Check steps are a rock or timber step placed in or across the trail tread to act as a low dam (to slow water flowing down a trail) and as a step for trail users. A grant from the Forest Preserve Foundation with funds provided by Allstate Corp., CSX and private donors supported the Dan Ryan Conservation Corps Crew.